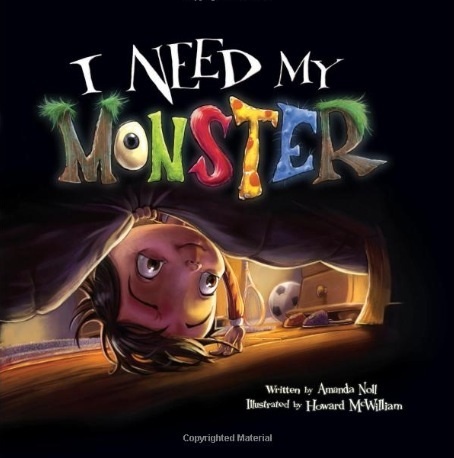 Today’s mini lesson uses the book “I Need My Monster” written by Amanda Noll and illustrated by Howard McWilliam. The lesson plan comes from Chelsea Sandstrom of Upper Iowa University. You can find the complete lesson here. The basis of this lesson comes from the Two Sisters’Reading CAFE (Comprehension, Accuracy, Fluency, and Expand Vocabulary) strategies for reading. Sandstrom gave ideas for using 6 strategies with this book. * Read pages 1-3 and ask the students what do they predict will happen next. Model going back in the text to confirm what happened. * Ask the students what they think the monster looks like or have them draw the monster (this could also work for the strategy “make a picture”). * Read pages 4 and 5 and ask students if their guess was right. How do they know? Have students provide evidence from the text. * Continue reading each page and asking students if the monster was what they thought it would look like. This is just one of Chelsea Sandstrom’s straegies to use with this book. Her lesson includes other strategies. The book image is from Amazon. Toayd’s mini lesson uses a book by one of my favorite others – Kevin Henkes. 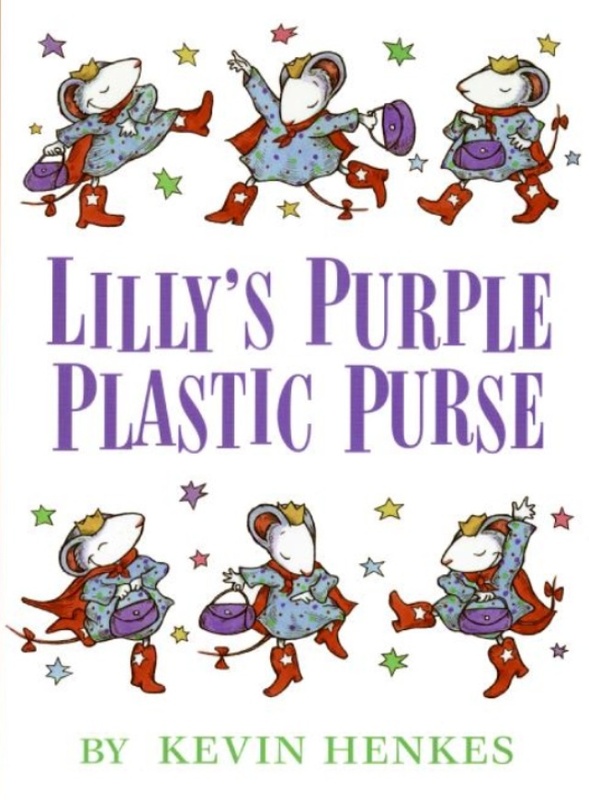 The book Lily’s Purple Plastic Purse can be used for teaching the strategy making text to self connections. In this story, Lily loved everything about school, including her teacher Mr. Slinger. She bring her purple plastic purse to school one day with shiny quarters inside and her new movie star sunglasses. She is very anxious to share her belongings with her classmates which leads to Mr. Slinger holding onto her items. This upsets her to the point that she doesn’t want to be a teacher anymore and draws a mean picture of her teacher. The story ends with Lily given the appropriate time to share her beloved purse, glasses, and quarters. When I read this book to my students is stop often and start with the thinking stem “This reminds me of…” The kids will be able to share moments at school when they’ve brought something from home they really like to share, but have to wait or they will be able to connect to how Lily felt. I often use partner talk during this time. I ask the kids to find a partner with someone they are sitting by and have them share their thinking. I listen to all the conversations and then when a few minutes have gone by I share with the kids what I heard them talking about with their classmates. Through my years of teaching Google has become my best friend. During the course of the school day I find myself searching many times for teaching strategies, ideas, or answers to the questions my kids ask that I have no idea what the answer is. On one of my various Google searches I came across the Denver Public School’s Instructional Planning Guides for Grade 3. This website is loaded with lessons plans, complete with resources such as graphic organizers, and the books for the mini lesson. In other words, it was a gold mine! I needed a mentor text for a mini lesson on story elements. 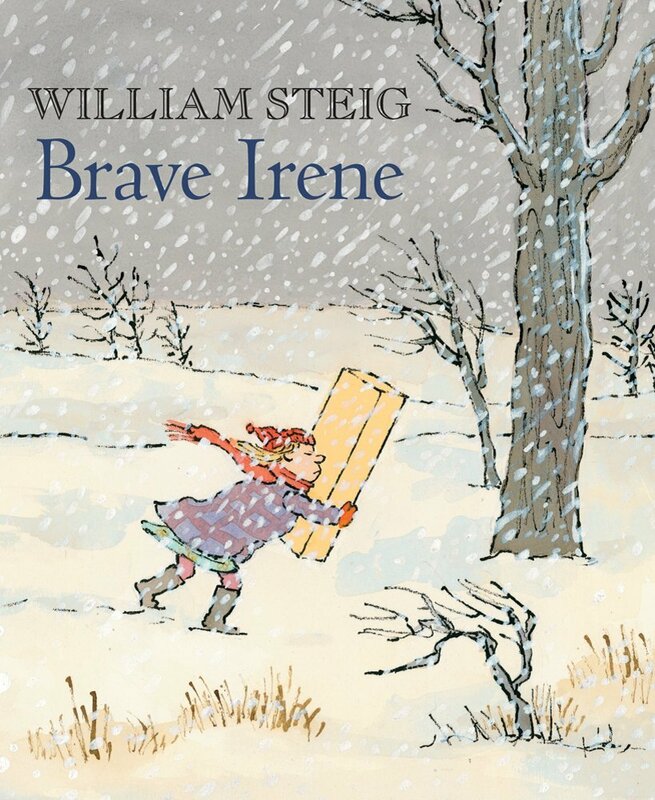 In the Grade 3 Unit 5 Instructional Guide is a lesson plan for using the book Brave Irene by William Steig. In this story, Irene must take a dress her mother has sewn to the duchess. On her venture through the snow, Irene must brave the weather to make it to the palace. After reading the story aloud, we complete a story map anchor chart together as a class. My main focus of this lesson is identifying story elements: characters, setting, events (beginning, middle, and end), problem, and solution. I model going back in the text to complete the graphic organizer. We also discuss why the setting is important to the events and how the story would be different if the setting would be in the summer instead of the winter. This book is also a good example to use if you would like to discuss character traits with your students. Irene is obviously brave, but she can also be described as persevering and determined. Here is a link to Mrs. Sanchez’s Class Reading Graphic Organizers website. She has many, many different graphic organizers to use in the classroom. You can find the original lesson plan for this mini lesson from the Denver Public School’s Instructional Guides by clicking here.